No one likes getting pulled over — seeing those flashing lights behind you can easily ruin your day. Getting a ticket is time-consuming, expensive and can ruin your driver’s record. 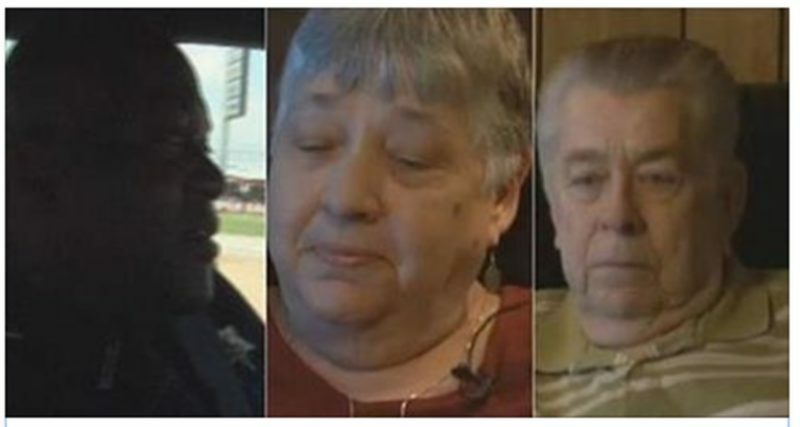 But for this couple, getting pulled over ended up being a major blessing in disguise. Deputy Jackie Loveless, a Louisiana police officer, was just doing his job on an average day. “”I was parked at Taylor’s Grocery looking for speeders heading west,” he said. “When they came by, they were speeding.” ‘They’ were Maxine Morgan and her husband, who were driving through Bossier Parish on their way to Shreveport. “So I really wasn’t paying attention to my speed going down the road,” Morgan admitted. Loveless called in the location, ran the tags and pulled Morgan over. But first, he said a quick, silent prayer. And then the traffic stop commenced, with Loveless making small talk. And that’s when Morgan explained where they were going in such a hurry: to a memorial service for her daughter, Daphne. She had died only days earlier. “It’s hard, very hard,” Morgan said as she cried. “It’s the hardest thing in the world to have to give up one of your kids.” Loveless was clearly moved and in a compassionate gesture, he reached into the vehicle and took her hand. “I asked her, ‘Ma’am, do you mind if I pray with you? '” he recounted. Morgan and her husband didn’t hesitate; they immediately said yes. “99 percent of what we do is positive and people need to know that,” Whittington added. Loveless didn’t end up writing the Morgans a ticket that day and the memory of his prayer when they needed it the most will likely stay with them forever. “I think he was our miracle that day,” Morgan said.